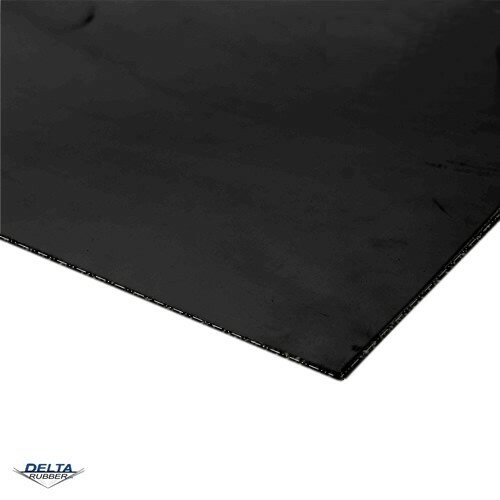 Natural SBR 70° black insertion rubber sheet available in a choice of thicknesses and lengths. All Natural SBR Rubber 70° Black Insertion Sheet is supplied at your chose thickness and length, at a width of 1.4 metres. This material is a general purpose economy grade blended Natural/Styrene Butadiene rubber with a 1 ply Polyester insertion for reinforcing purposes. May contain some reclaim material, minor surface imperfections & blemishes may occur.